We are serving delicious special Easter and Passover meals in The Carmel Room, Promenade Cafe, Rampart Buffet and Ceres Restaurant. Enjoy Easter with your Rampart family by dining with us on special Passover & Easter menus designed specially for this occasion. 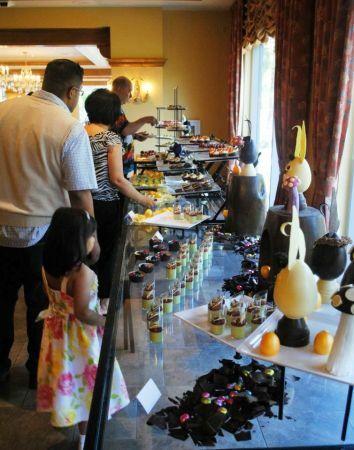 Ceres Restaurant is one of the few in Las Vegas to still offer an Easter Bunny and Egg Hunt for children too. Please note, yesterday our Easter Brunch sold-out for all three seatings. However, we will take walk-ins for the Patio, weather permitting. All of the menus and details are available on our Dining Page.